Which category of drinks has the most sparkle at the moment? Fizz. Not only has this style of booze been the major growth area for the wine business over the past decade, but also, if the forecasts are correct, there’s still mileage in the sector – estimates by the IWSR suggest an 8.6% growth over a five-year period from 2016-2020, taking the total market to almost 2.9 billion bottles. The reason for such an outstanding performance centres on the fact that fizz offers more refreshment than any other drink. Somehow, something with bubbles does a superior job of cleansing the palate than something without – it’s why Coca Cola, with its carbonated edge, seems to invigorate dry mouths, even though it’s loaded with sugar. But it’s not just refreshment that makes sparkling wine so popular. It’s the association with good times. OK, so Champagne may be the fizz most closely tied to important moments, from podium wins to major anniversaries, but other sparkling wines still have a celebratory edge, and are connected with fun, sociable occasions – even if they end up being used as an opportunity to mark nothing more than a group getting together for an evening. Of course, one shouldn’t see the category as simply Champagne and sparkling wine, as there is great diversity within both, and an increasing spread of styles and growing number of sources among the latter particularly. Nevertheless, presently, it is viewed as a two-part, or increasingly, three-part sector: Champagne, Prosecco and sparkling wine. Indeed, Champagne and Prosecco have become the two stand-out successes in sparkling wine that everyone else wants to emulate and benefit from. The former represents the long-time pinnacle in image and quality – but also, with sales of Champagne for 2017 expected to surpass 310 million bottles, a sizeable winemaking machine too. The Sparkling Masters is a competition created and run by the drinks business, and is an extension of its successful Masters series for grape varieties such as Chardonnay and Pinot Noir, as well as regions such as Rioja and Chianti. The competition is exclusively for Sparkling and the entries were judged by a selection of highly experienced tasters using Schott Zwiesel Cru Classic glasses supplied by Wine Sorted. The top Sparklings were awarded Gold, Silver or Bronze medals according to their result, and those Sparklings that stood out as being outstanding received the ultimate accolade – the title of Sparkling Master. 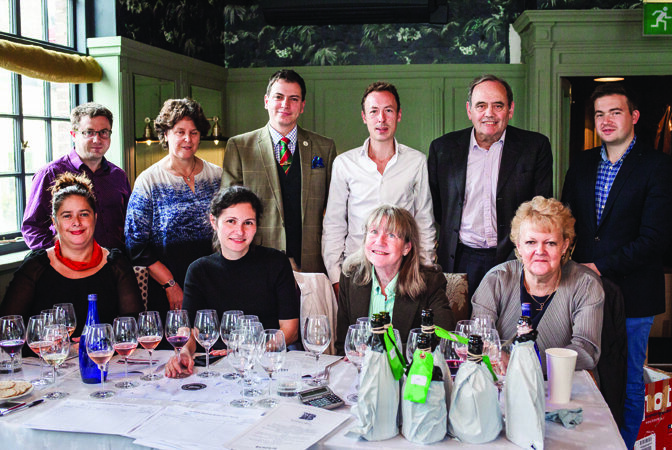 The Sparklings were tasted over the course of a single day on 8 September at Bumpkin restaurant in London. This report features only the winners of medals. The latter embodies the fun, easy and affordable side of sparkling wine, and acts as the volume-driver for fizz overall in the past 10 years – the production of Prosecco has risen by around 50m bottles from 2006-2016 to total almost 500m. As a result, one can split the market into two main areas and a more diverse third. The first concerns Champagne and the relatively pricy traditional-method brut sparklers primarily made from Chardonnay and Pinot Noir that have been designed to take on the original. The second comprises cheaper tank-method Prosecco and Prosecco alternatives, which often have reasonably high levels of residual sugar. As for the third, that is made up of the many other types of fizz produced around the world in a range of styles and sugar levels, sometimes using native grapes, others employing Champagne grapes Chardonnay and Pinot Noir. Bearing all this in mind, the next question is, can the challengers to these two benchmarks deliver something as good, if not better for the price? And if so, where are they from, and who is behind them? Or, if not, which producers are ensuring that the benchmarks remain their category leaders today? We sent you an email with password reset instructions. © 2019 Union Press Ltd. All rights reserved.